Costa Rica is Central America's most popular tourist destaination, known for it's tropical cloud forests, swanky beach resorts and eco get-aways. For cyclists, biking Costa Rica is a chance to enjoy some creature comforts, climb some steep mountain passes for who choose to explore the interior, or simply pedal past long stretches of beach for those who stick to the coast. As the richest country in Central America, you'd expect Costa Rica's roads to be in mint condition--they're NOT. Many highways are narrow two lane death traps without a proper shoulder suitable for riding. Traffic is heavy on most of Costa Rica's roads and you'll have to deal with impatient bus and lorry drivers who nearly graze you as they whiz by. If you're following the coastal road, conditions improve greatly after Puntraarenas, where the road has been newly refurbished with a wide shoulder. Fellow cyclists have recommended the Nicoya Peneinsula for those looking for a backroads off-the-beaten path adventure--beware of sand traps! We used Reise Know-How's detailed, waterproof Costa Rica-Panama map. If you're trying to stick to a budget, Costa Rica isn't a country where you'll want to be checking into many hotels. $15 per night is probably the cheapest lodgings you'll find. Fortunately, with a little bit of effort you'll be able to find plenty of nice spots to pitch your tent. Beaches are an obvious choice, and popular with locals and tourists alike. But safety will be a concern and theft in friendly Costa Rica is more common than you might think. We had great luck asking at churches, which normally have lush green lawns perfect for pitching a tent and convenient toilet facilities with showers. Schools are another option, but you'll have to convince the caretaker and that takes a bit of persuading. 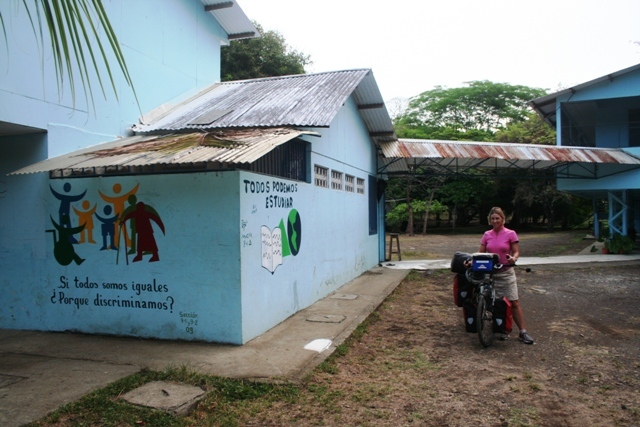 Bike touring in Costa Rica could quickly become very expensive if you indulge in many tourist temptations. Don't even think of dining out if you want to stick to a budget of $10 a day. Checking into a hotel will blow your entire daily budget. Even supermarkets are more expensive than in other Central American countries, some food items costing up to 50% more. We spent an average of $10 per person per day, never staying in hotels and self-catering almost all meals. 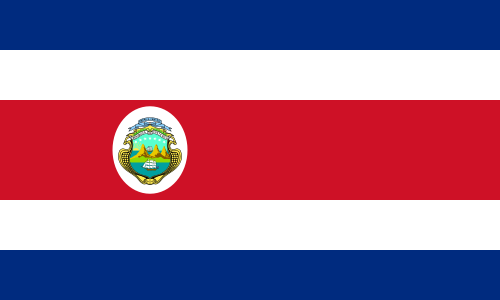 Costa Rica is generally viewed as a safe country. Local expats, however, claim that petty theft is becoming more common and foreigners are seen as easy targets for muggings. Better not to let your guard down just yet. Any advice or questions about Biking in Costa Rica?